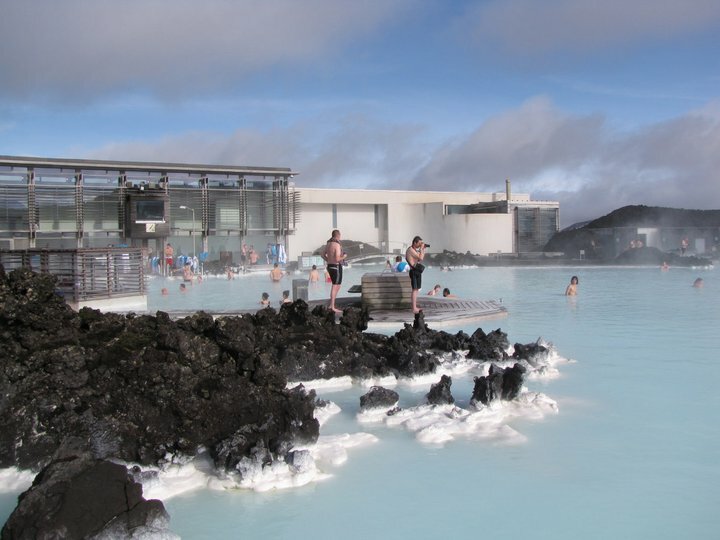 In summary, it can be up to 50% cheaper to travel to Iceland in March/April as opposed to in the summer. Even though the currency has fallen in value from its peak in 2008 (1 USD = ~65 ISK in 2008; 1 USD = ~112 ISK in ~2014), Iceland is still very expensive. I spent ~$40 USD per night in a 4 person hostel room. Most hotels in Reykjavik are north of ~$250 per night for a 2 star hotel. In March/April, most people stay in Reykjavik and do day trips. If you do adventure outside of Reykjavik, you will find that Iceland is very empty. When I was in Hofn, I was the only person in the ENTIRE hotel. As a nature lover, the main advantage is the ability to see the Northern Lights. You have a much better shot in March than in April to see the Northern Lights as the sunsets at 8:15 pm as opposed to 9:45 pm. By end of May the sunrise is at 3:30 am and sunsets at 11:30 pm making it very unlikely to see the Northern Lights where a pitch black sky is needed. Lastly, you have the ability to go snowmobiling and skiing . The ski mountain located neared Akuyeri is open from end of November to end of April. There is a smaller mountain closer to Reykjavik. To me the primary disadvantage of traveling in March/April is that you don’t have the ability to see the West Fjords and travel in the Interior of Iceland. The roads are not well maintained making it impossible to move around. The only part in West Fjords that is accessible is the main city of Isafjordur. Some facilities outside of Reykjavik, such as guest houses, are closed during this time frame. While Reykjavik is a nice city, there is not a lot of “touristy” stuff to do in the city. One can see all of Reykjavik in a full day. With that said, Reykjavik has a great nightlife and is a great place to use as a home base for day trips. Since there are a lot of activities that can be done from Reykjavik, most travelers in March/April choose simply to stay in Reykjavik. I decided to rent a car giving me the luxury of driving all around Iceland. If you are traveling from May to September and have time, you can take a ferry to Heimaey. This will give you the opportunity to see whales, but it is mainly known for puffins that lay their eggs there. For lunch, I stopped in the town of Vik, which is famous for its black beaches. After lunch, I continued east to Skaftafell National Park, which gives you the opportunity to get close to glaciers. In this park, I also hiked to some beautiful waterfalls. 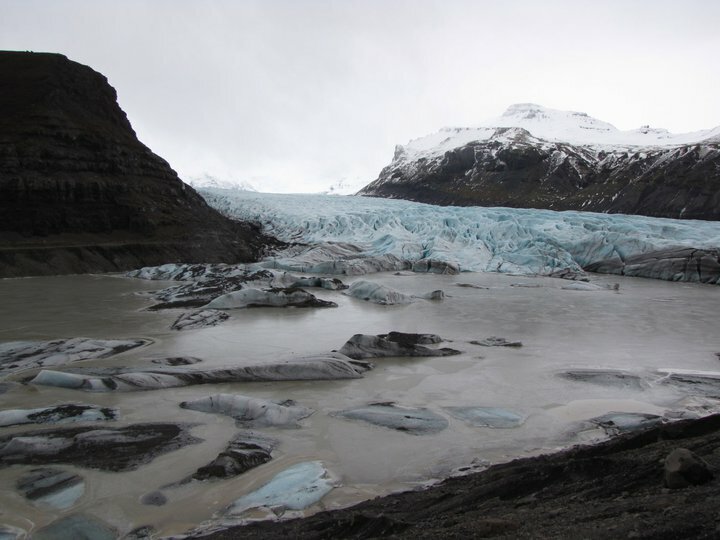 From Skaftafell National Park, it was only a little bit longer to Jokulsarlon Glacier Lagoon (Jokulsarlon). 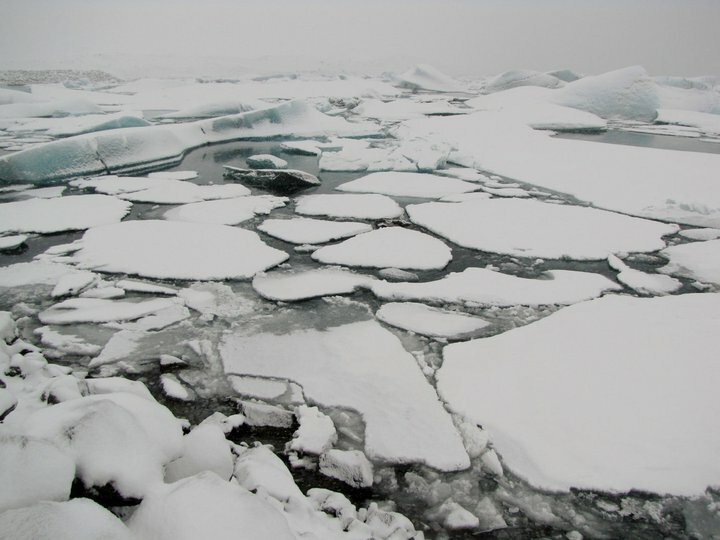 This a beautiful lagoon with floating icebergs. In April/May & September/October, the park is open from 10:00 am to 5:00 pm. In June – August, the park is open from 9:00 am to 7:00 pm. With it being closed, I only had the opportunity to walk around the lagoon. With it starting to snow, I had to drive in near whiteout conditions to Hofn. There is only one hotel open in Hofn, and I was the only person staying in it. In the summer, I would have added another day to my itinerary in this region. From Hofn, I headed north. I would go stretches where I wouldn’t pass a car for an hour. It was beautiful out here driving along the Glacier. I wanted to stop at Dettifoss (most powerful waterfall in Europe), which is a waterfall in Vatnajökull National Park. In the winter, it is not possible to drive to the waterfalls. The roads aren’t plowed, and you risk getting stuck. 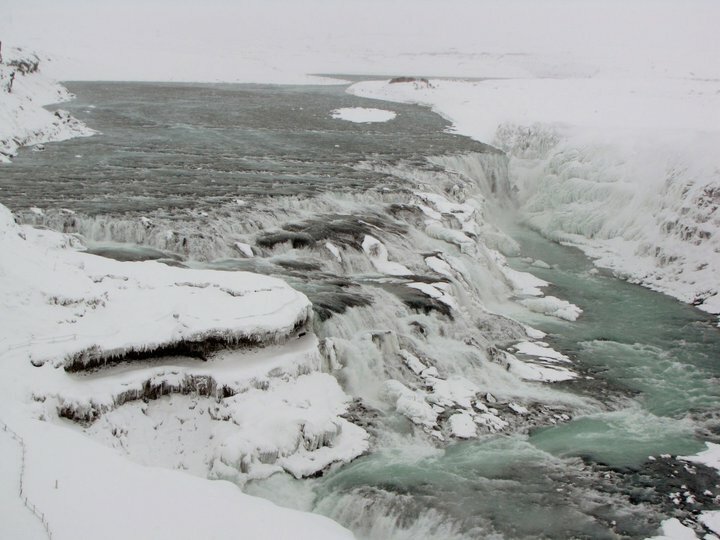 There might be a tour out of Akureyri that will take you into Dettifoss in March, but I couldn’t find one. I do believe there are tours in the Summer. I ended up stopping in Myvatn. Myvatn is a volcanic area with lots of lava fields. 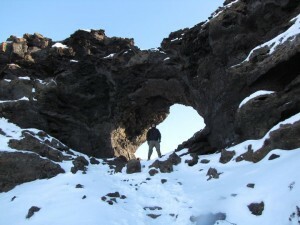 It is probably even more impressive in the summer since much of the lava fields are covered in snow. In Myvatn, you have the ability to see the Northern Lights aka the Aurora Borealis. You can see the forecast for the Aurora Borealis here. To see the Aurora Borealis, it needs to be pitch black (i.e., why you can’t see them in May) and cloud free. 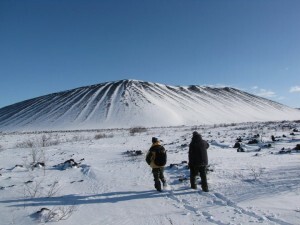 While staying at accommodations, I met 2 men from France that were interested in hiking Hverfjall. To hike Hverfjall, we needed to hike through Dimmuborgir (aka The Black City aka The Gates of Hell). Dimmuborgir is full of lava, but it less amazing when covered with snow. 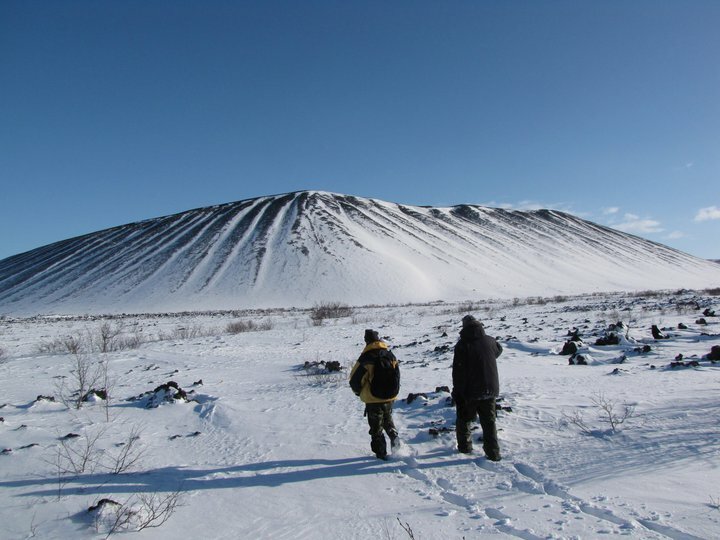 The hike to Hverfjall was very challenging since the path was covered in snow. We followed the little markers that were sticking out of the snow. The view from the top of Hverfjall was amazing. I ended up hiking around a little more before heading back to Reykjavik. 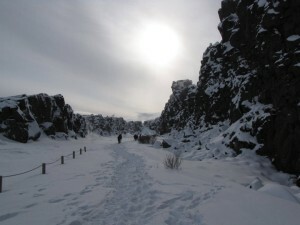 In the summer, I would add extra day to this itinerary to allow sometime in Dettifoss. 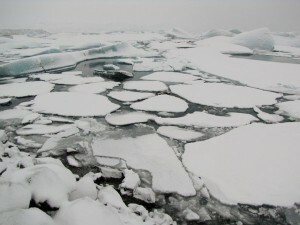 I would also head to West Fjords and not back to Reykjavik if roads were passable. On the next day, I arranged a half day spelunking adventure. It was a fun experience that was one of the cheapest activities. In the afternoon, I went to the National Museum of Iceland. With it being my last night in Reykjavik, I had dinner at a nice hotel downtown and had puffin. It wasn’t that bad. On my last day in Iceland, there is the opportunity to take a bus that will take you to the Blue Lagoon and then drop you off at the airport after you spend time at the Blue Lagoon. It leaves quite frequently. The Blue Lagoon is amazing and a must see. At the Blue Lagoon, you have the opportunity to get a massage. I traveled on Iceland Express, which is a discounted airline. It does not fly from NYC on a regular basis, but it is considerably cheaper than Icelandic Air. Hertz/Avis are all very expensive in Iceland. The cheapest rental car company was from a company called Sadcars. They utilize used cars making them considerable cheaper than the main car rental companies. Overall, I thought driving in March in Iceland was safe. Outside of driving near Reykjavik (or on the Golden Circle route), I would recommend only driving on the ring road. Some of the smaller roads were not very well plowed. If not snowing, I think the roads are very safe. If it is snowing, I would either drive very slow or not drive at all. There are very few cars on the road outside of Reykjavik, which is a good and bad thing. I think it is totally safe to drive in Iceland. I just recommend driving at a slow pace.